Acclaimed imprint Disco Halal reveals their 2019 schedule with Moscoman, The Organism, Auntie Flo, Kincaid, Mount Kismet, Simple Symmetry and the second instalment of the Perfect Strangerscompilation series all confirmed. 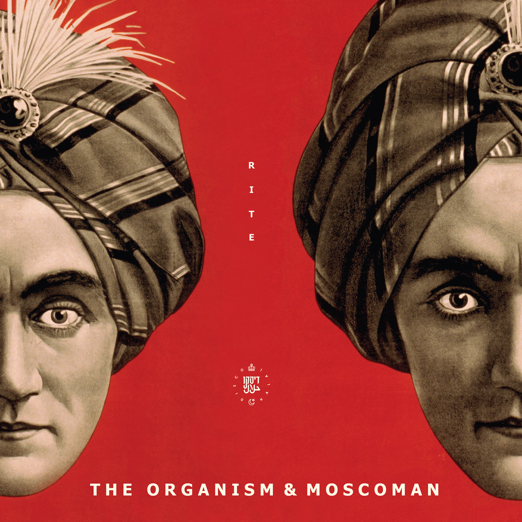 The first EP sees The Organism and Moscoman collaborate for ‘Rite’ and is released on 1st February. The project includes the titled track as well as the atmospheric blisters of ‘Chumbai’ and percussive textures of ‘Rubab’, a track steeped in the Middle Eastern sonic influences of Moscoman’s home country of Israel. Flipping the leading track on its head, the Disco Halal mix of ‘Rite’ is turned into a loopy, hypnotic edit suited for the oddballs. Based in Berlin, but firmly rooted in the diverse and forward-facing musical scene of Tel Aviv, Disco Halal hails from beneath the minarets of the Holy Land. The label exists to present a tightly-knit and growing community of musicians and producers, each transmitting their unique musical identity, yet each united by a unique sensibility, as well as a harmonious balance of rhythm and experimentation. Disco Halal blossomed, with cuts from Chaim and Simple Symmetry. The label retains a strong flavour of Moscoman’s origins, as can be heard on his ‘Subaru Pesha’ EP with Red Axes and Krikor, flooded with Middle Eastern flavour. The label also saw releases from Acid Arab and Mehmet Aslan and moved onto more ambitious endeavours, such as Autarkic’s LP, ‘I Love You, Go Away’.